Today is stop FOUR on my blog! I will have a stop every Sunday until August 14th! I am sharing with you Valerie from He Said Books or Me! I wanted to have a little fun with Valerie! I decided to send her on a little scavenger hunt! I gave her a list of things and she had to provide a picture of each thing! It could have been from her home, something she spotted in a book store - or anything like that! The sky was the limit here! 1. Find an author’s name or title with the letter F in it. I want to thank Valerie for stopping in! I think she did a fantastic job on this scavenger hunt! I loved checking out what you found! I thought it would be extra fun to do something like this & it makes it even better to read your email letting me know just how much fun you did have doing this! 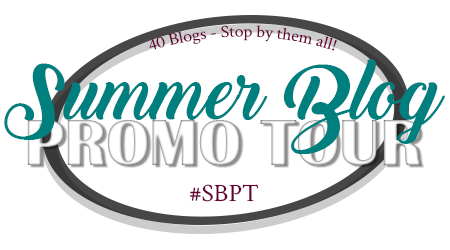 What did YOU think of Stop 4 on the #SBPT Promo Tour? Can you look around your room and find any of these? That scavenger hunt is a great idea! It's fun to see what all the books other people have in their house are. Love this post!